Recently, Judge Greg Willis stepped down from his Collin County Court Six bench to pursue a run for Collin County District Attorney. Several attorneys have announced a run for his former bench. I have heard many names thrown out as possible candidates. I am including only those who have personally told me they are running, or anyone that has a campaign website up. If you are planning on running for this court, contact me and I will add you to this article. Mr. Ismail established a general practice in Plano doing primarily litigation, criminal defense and immigration law. He handles matters ranging from consumer protection and business litigation to misdemeanor and felony criminal trials. Mr. Ismail has been active in the legal community as President of the Plano Bar Association, Frisco Bar Association, Collin County Young Lawyers Association and am currently a director of the Collin County Bar Association. 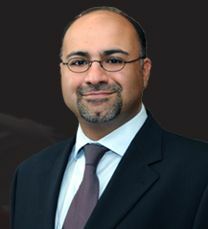 Mr. Ismail has a website, www.ismailforjudge.com which details his experience and plans for the bench. Terri Green is in private practice in Plano. According to her website, she handles Family Law; Civil Litigation; Probate Litigation; Wills, Trust and Estate Planning; Criminal Defense Counsel (Misdemeanors); and Teen Court Judge (Misdemeanors). Her civic involvement includes work with the Junior League of Plano, Collin County Bar Association, Frisco Bar Association, Frisco Rotary and Preston Trails Community Church. She’s also involved in the Collin County Republican Party and has served as a grand jury commissioner and on the board for the Frisco Chamber of Commerce. 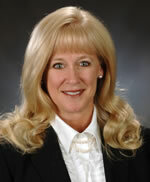 Mrs. Green has a website, www.terrigreenforjudge.com which details her experience and plans for the bench. Jay Bender is a current private practice attorney and a former Assistant District Attorney who worked in both Collin County and Dallas County. 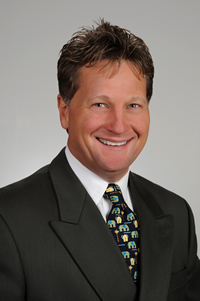 His current practice included Criminal Defense, family law, civil law, and business law. Mr. Bender was employed as an Assistant Criminal District Attorney in Dallas County by Bill Hill and eventually worked his way up to become a felony prosecutor. Mr. Bender then became an Assistant Criminal District Attorney in Collin County. Prior to becoming an attorney, Mr. Bender spent 8 years in the US Navy serving his country. Mr. Bender has a campaign website which can be found at www.benderforjudge.com. Don High is a Plano resident since 1989 and municipal prosecutor for the City of Wylie since 1995. He earned his law degree from Baylor Law School, and began his career as a tax accountant with Price Waterhouse and Company in New York. He is currently in private practice, handling all aspects of legal representation. He is a Board-Certified Criminal Law Specialist and his experience includes stints with the Collin County District Attorney and practicing private law with the firm of Grubbs, High, Goeller, and Associates. Since 2002, High has operated a general law practice in Dallas and Collin Counties as the Law Offices of Don High. He is a 2007 graduate of Leadership Plano. He has also served on the board for Live from Plano as its treasurer, and has performed in the show for many years. In a speech to supporters, High introduced his campaign theme, “It’s High Time”, and pointed out the level of criminal law experience required to effectively serve on the bench, noting that over 80% of the County Court’s business is criminal law. More information about High’s experience and campaign platform is available at www.donhigh.com.